Last week Eurodollar reached local correctional level of 78.6% and rebounded from it. Market was opened with gap down this morning, so I decided to move stop on my sell order into the black. In the near term, price is expected to continue moving downwards. 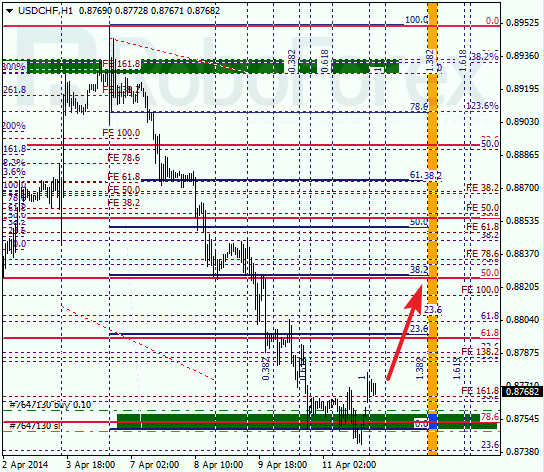 As we can see at H1 chart, closest target is at level of 38.2%. 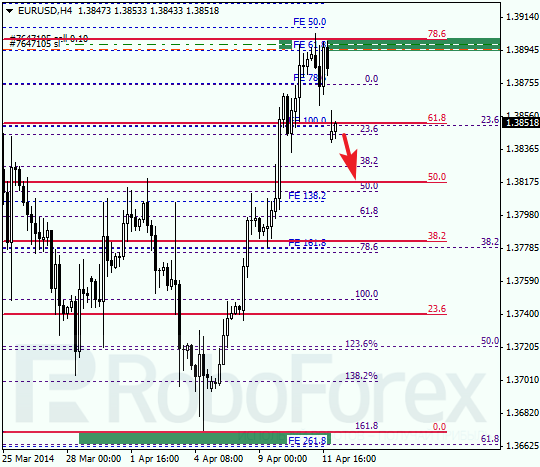 According to analysis of temporary fibo-zones, this level may be reached during the next 24 hours. If later pair breaks it, price will continue moving downwards. After rebounding from the group of lower fibo levels, market was also opened with gap down on Monday morning. Bulls are expected to make short pause and then continue pushing price upwards. Possibly, pair may reach new local maximum during the day. 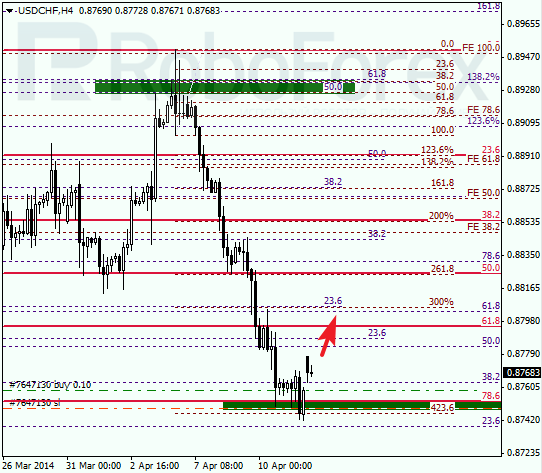 As we can see at H1 chart, closest target for bulls is at level of 38.2%. 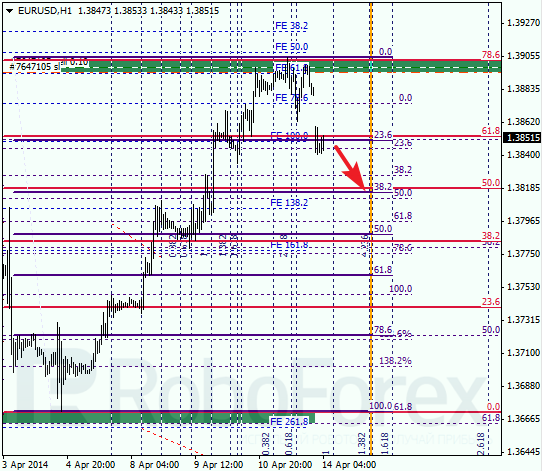 According to analysis of temporary fibo-zones, price is expected to reach this level by Tuesday. If bulls break this level, correction may continue towards level of 50%, or even 61.8%.